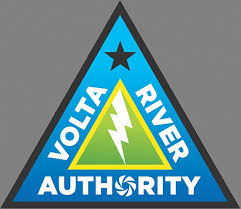 Workers of the state power producer, the Volta River Authority (VRA), say the proposed sale of its thermal plants by government is needles because that will not solve the problems of the VRA. The government has proposed the sale of some thermal plants belonging to the VRA in order to deal with challenges confronting the organisation; mounting debts included on the long list of challenges. The VRA owes banks to the tune of GHC 4.4 billion, according to reports. But Chairman of the Senior Staff of VRA, Cephas Duse, speaking at a press conference on Tuesday, September 19 revealed that the challenges bedevilling the VRA are as a result of bad deals with independent power producers signed by successive governments. “…As a result of its [Government’s] bad arrangement with AMERI for example, VRA has incurred an avoidable loss of $218 million within the first 18 months, from January 2016 to July 2017. On the average, VRA incurs a loss of $11.5 million and this arrangement is supposed to be with us for five years,” he stated.